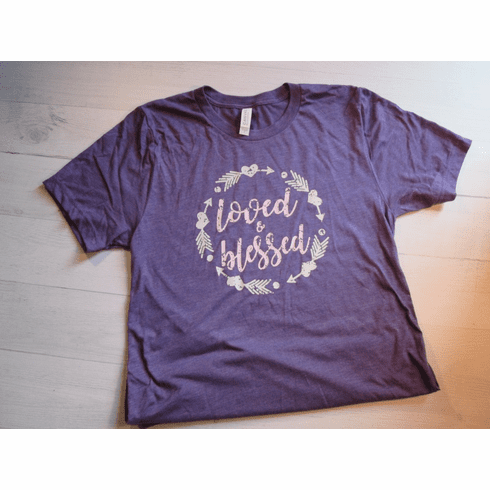 This super cute Loved and Blessed shirt is so cute on the bright colors of Bella+Canvas T's. The Bella+Canvas triblend tee features a uniquely soft triblend fabrication and modern fit. 3.8 oz., 50% poly/25% combed and ring-spun cotton/25% rayon 40 single Unisex sizing Retail fit Side-seamed Tear Away label Heat pressed vinyl design. Lettering will coordinate with shirt color.